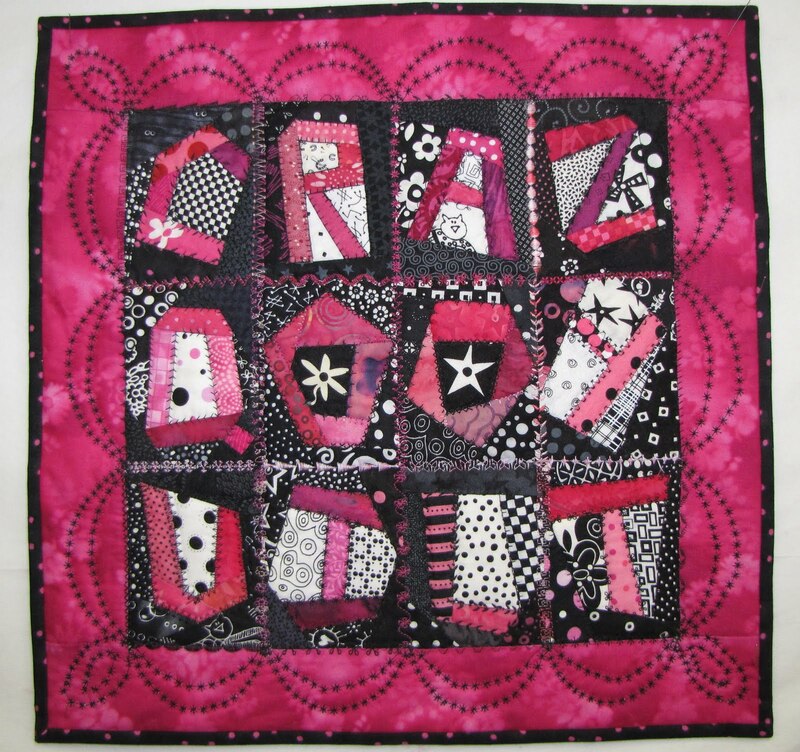 This is one of the classes I will be teaching. I will also be doing 2 in-depth half day antique quilt sessions. Patterns Through Time and Sign of the Times. 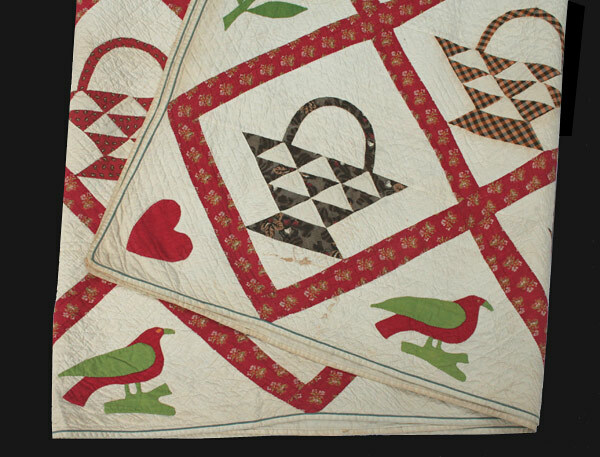 Great opportunity to see lots of museum quality antique quilts, up close and really examine them. 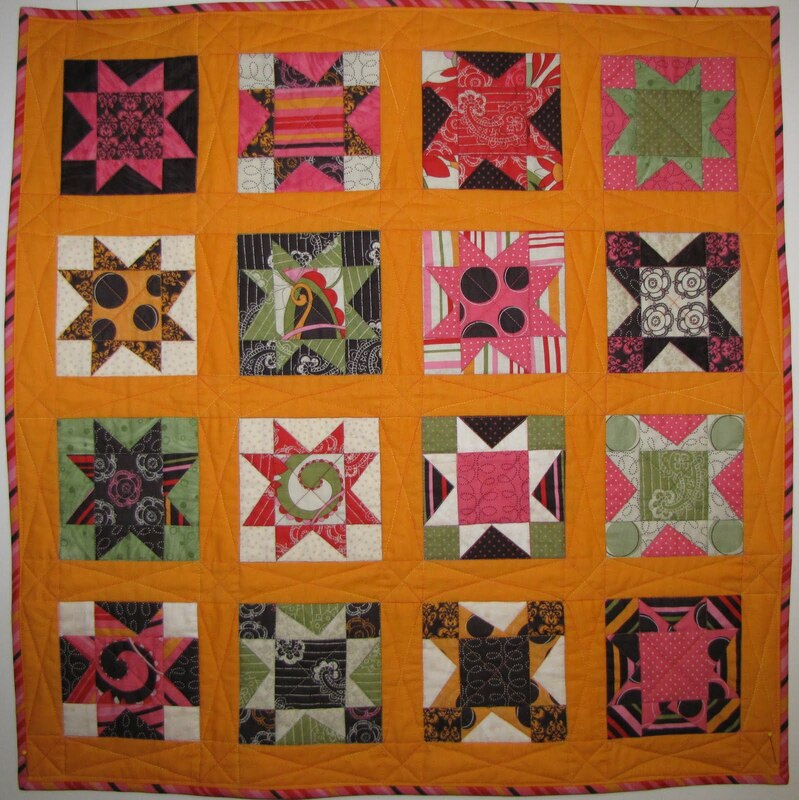 What an amazing way to learn quilt history. 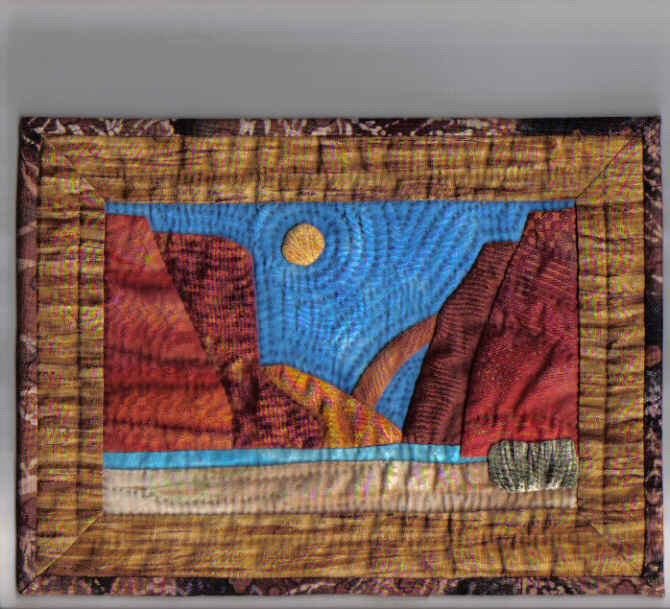 And whether you already love applique or have never tried it, my Red Rock Mini Landscape is the perfect class for you. 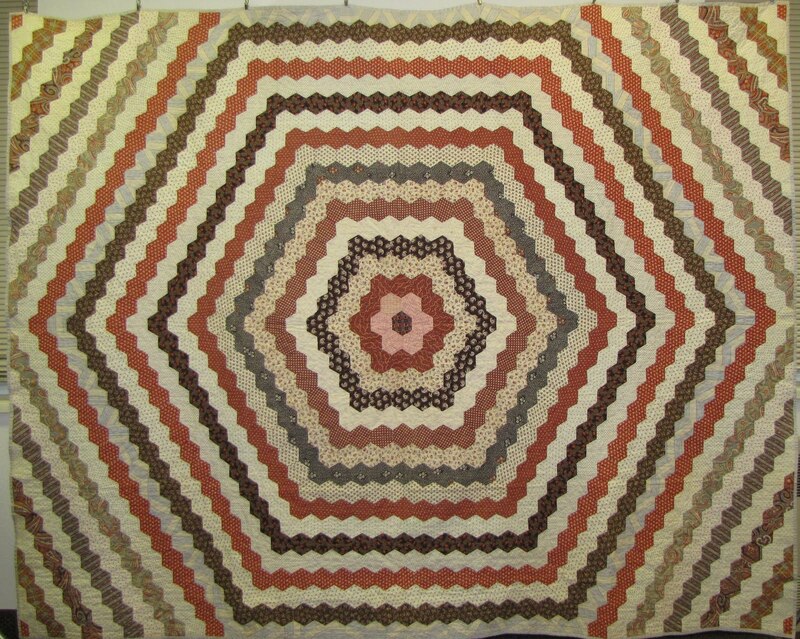 You'll get to make an easy yet very impressive souvenir of your trip to Southern Utah. 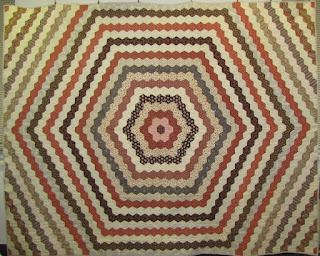 And that is not all I'm doing in St. George, click on the link to see all my activities. 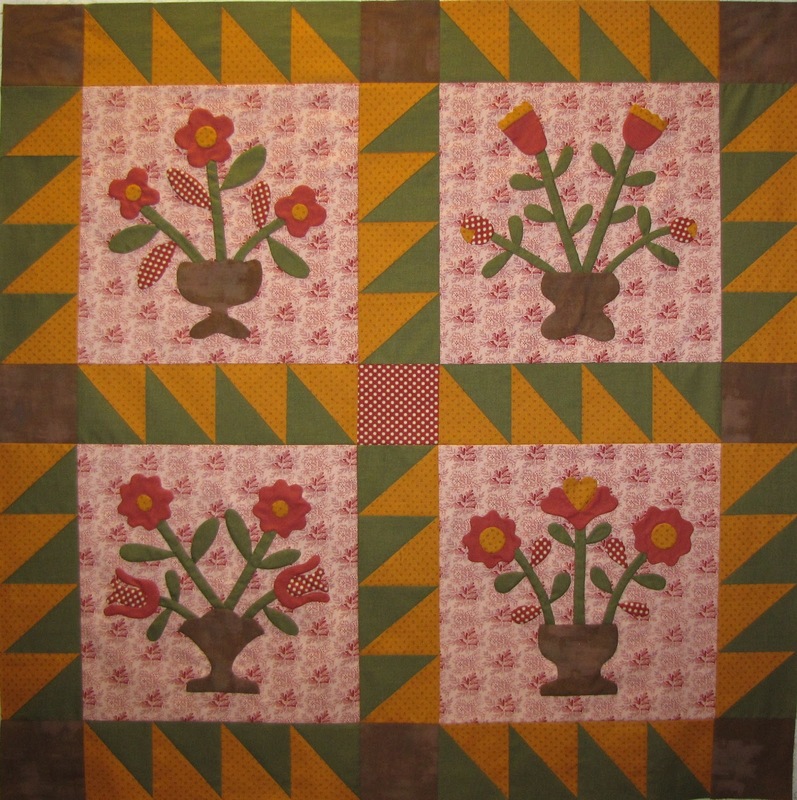 So happy to share my antique reproduction quilt with my friends and Amy's crew at Bloggers Quilt Festival. 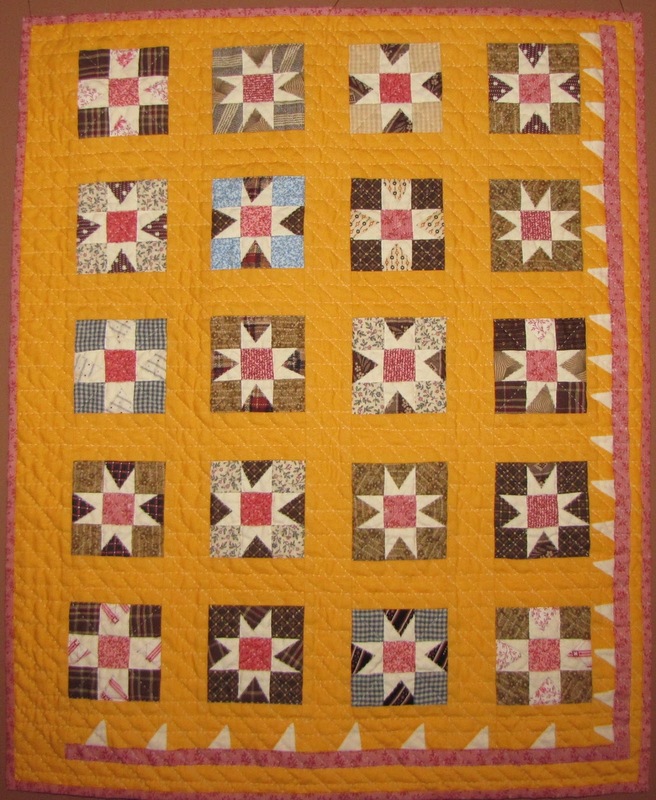 This quilt was created for the American Quilt Study Group's Civil War Quilt Study (a scholarly quilt challenge). 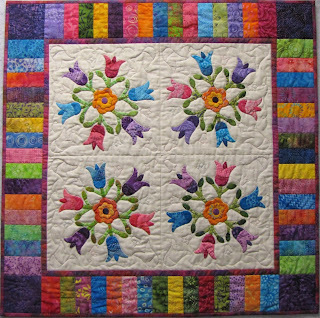 Voting for the Bloggers Quilt Festival starts Nov. 1 to Nov. 7th. 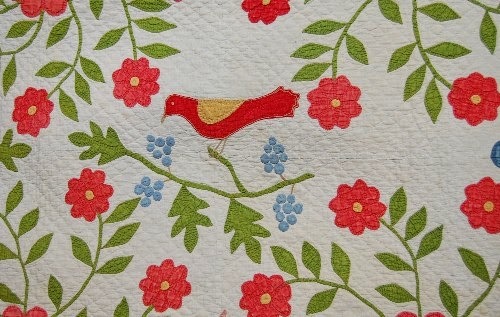 I'm in the applique category. 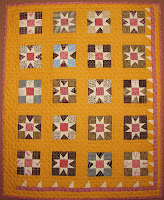 Quilted Joy Too 35" x 35"
And part of antique inspiration quilt circa 1855. 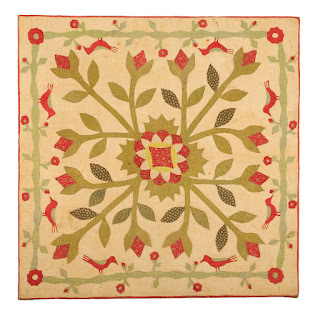 You'll find me in booth #512. 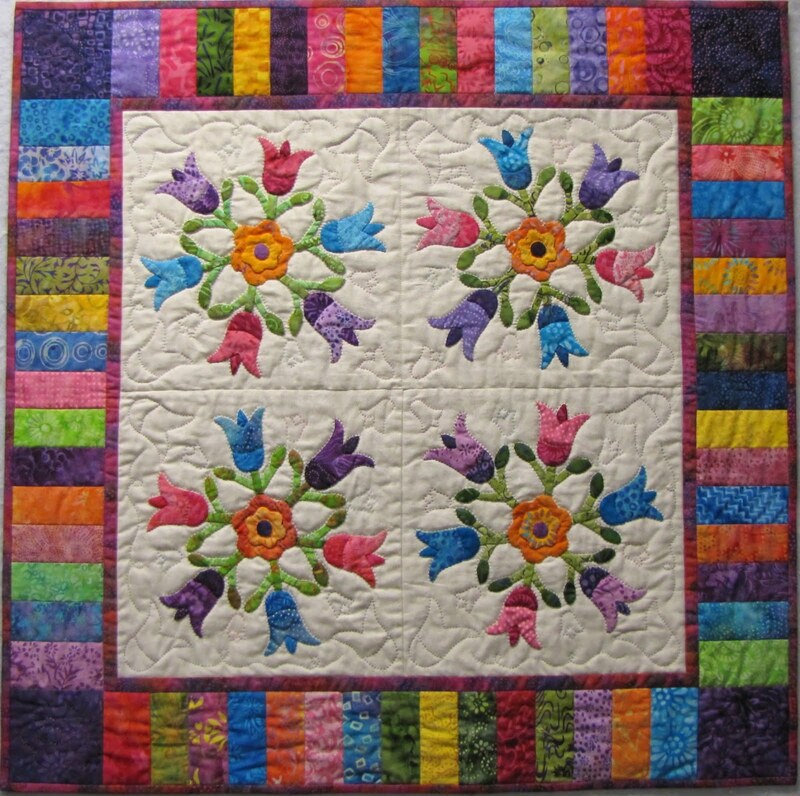 I will be doing appraisals on May 8, 9, and 10, 2014 at the Home Machine Quilting Show (HMQS) in Salt Lake City/Sandy, Utah. 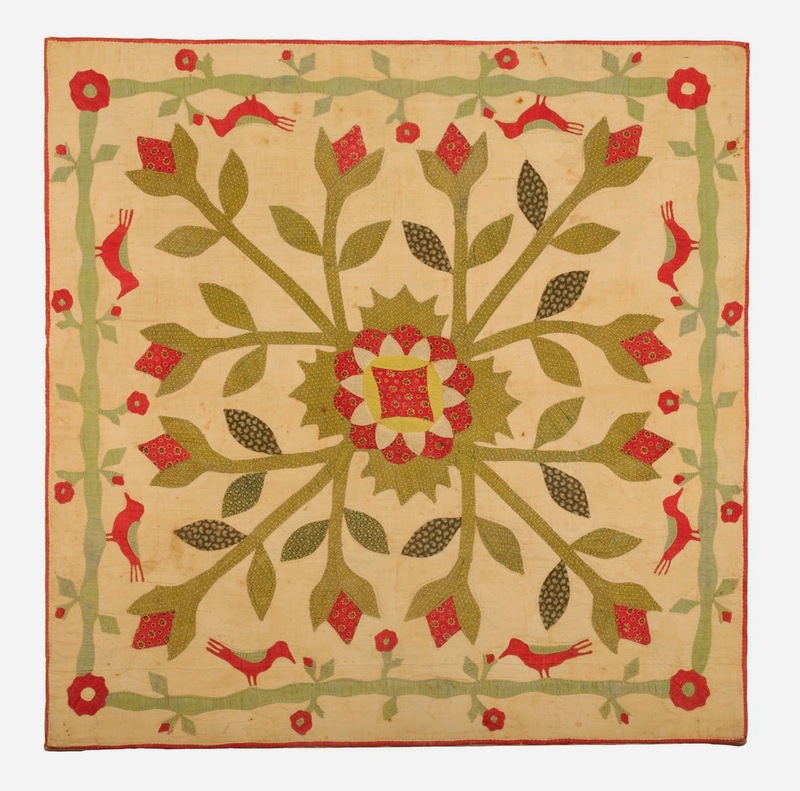 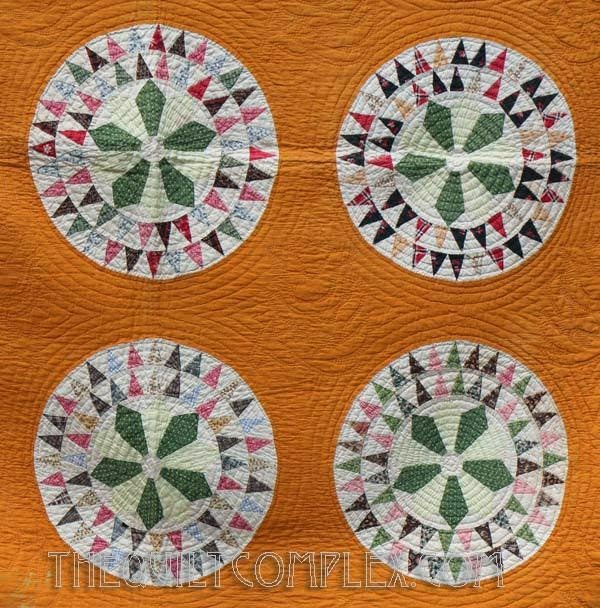 I am certified by American Quilters Society (AQS) to appraise all types of quilts-antique, vintage and newly made and traditional and art quilts. 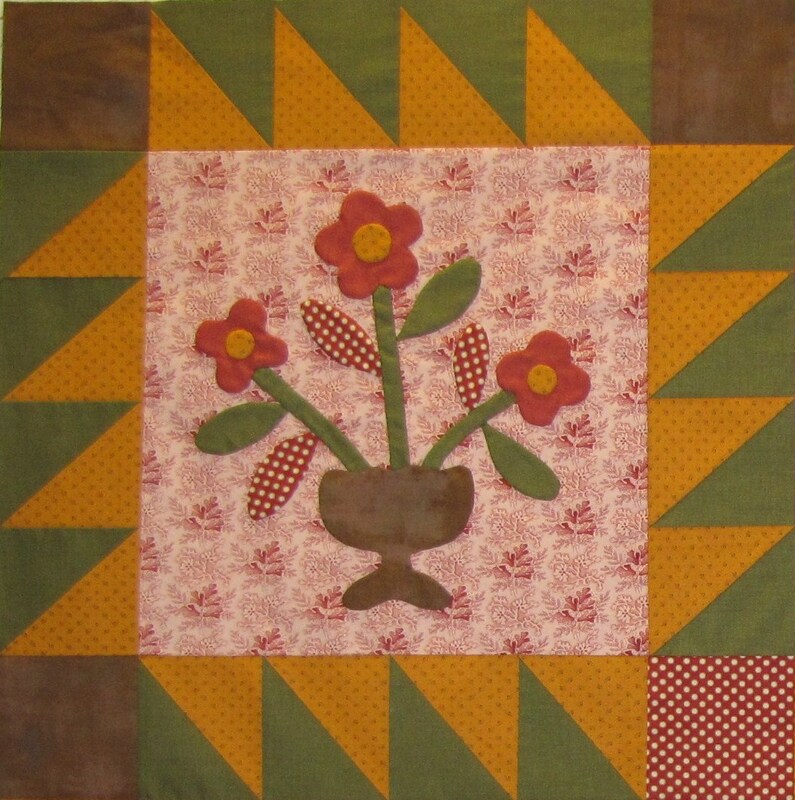 I will be in booth #512 so please stop by. Appointments are still available, so please bring in your quilts. 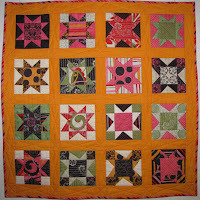 And I can also appraise quilts that are hanging in the show or in special exhibits or booths. 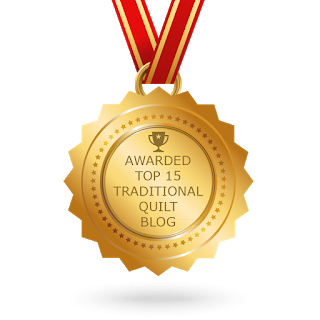 I will be doing a 20 minute lecture/trunk show Thursday at 2:30 p.m. on Rising to the Challenge, Creating Award Winning Challenge Quilts. 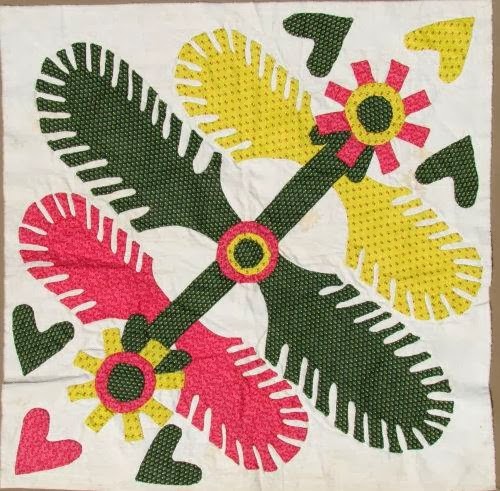 And on Friday at 2:00 p.m. 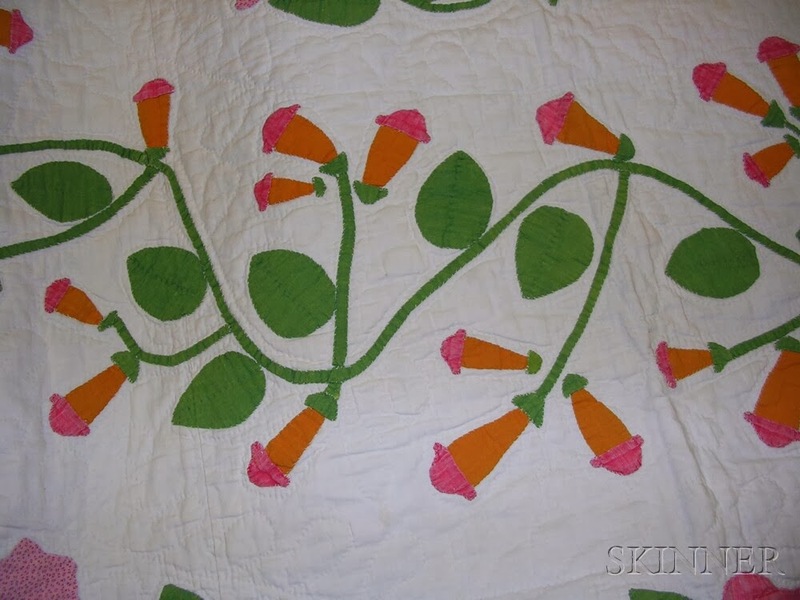 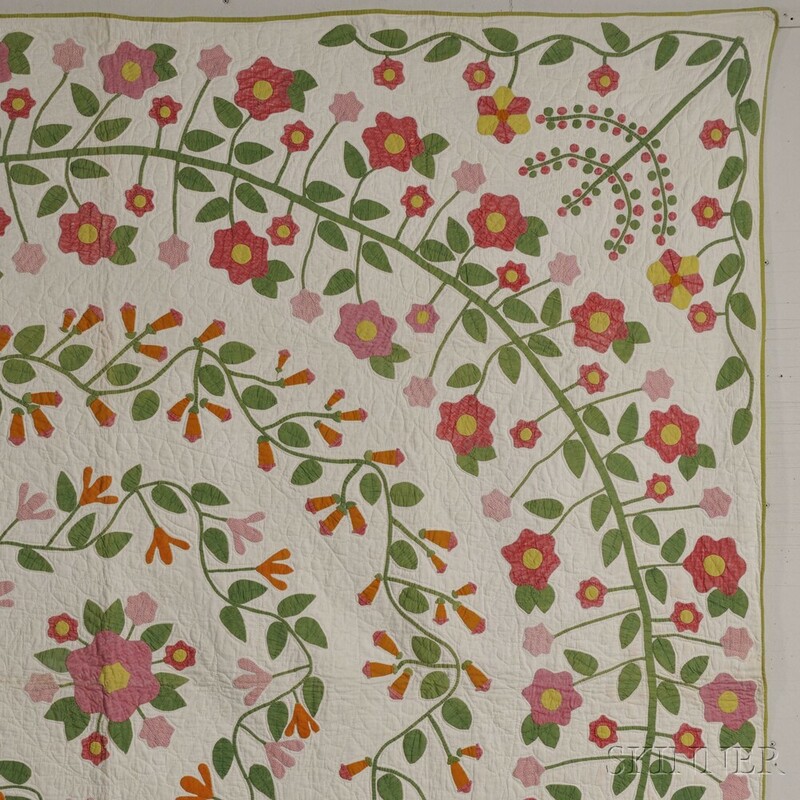 I'll be sharing antique quilt masterpieces in a 20 minute trunkshow. 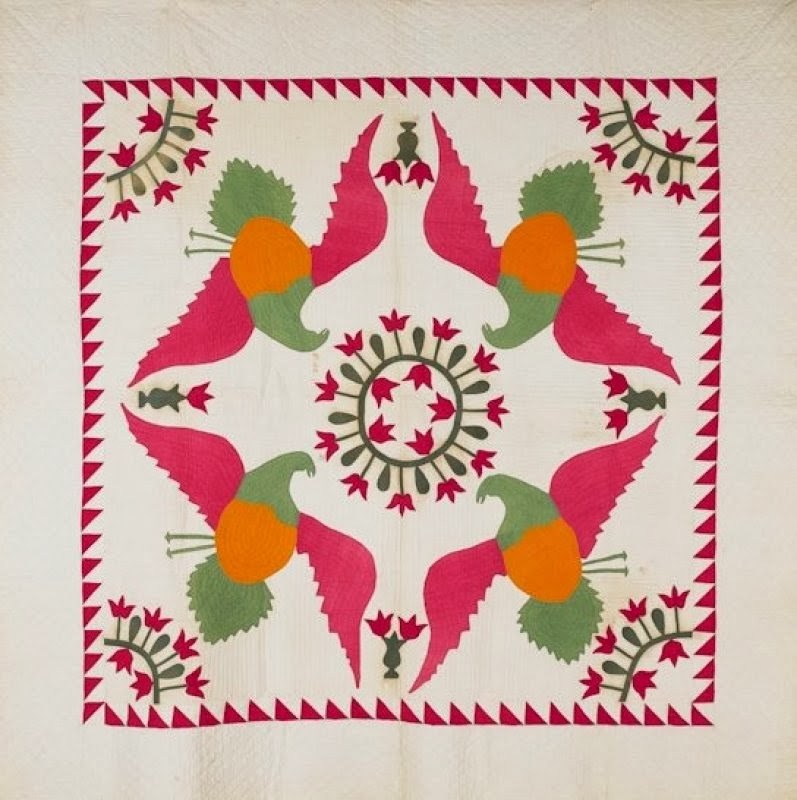 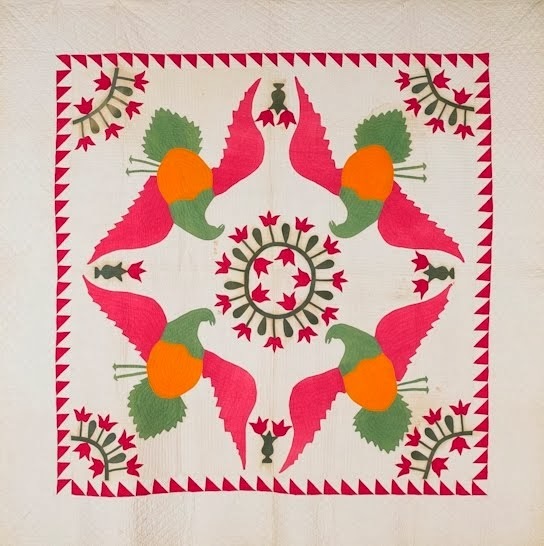 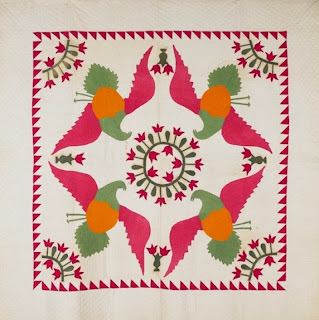 This is an appetizer to my hour slot at 4:00 p.m. for my lecture/trunk show on "Patterns Through Time -- Revolutionary Changes in American Quilts" showcasing about a dozen examples of how quilt patterns change over time (about 25 antique quilts).